Gail Mains started with the company six years ago as an Accounting Clerk, the same position she holds today. Gail works hard every day receiving every invoice that OLS receives from suppliers. They reach her via mail, email and fax, so she has to stay organized so they can all be accounted for. The invoices are not only for the items we purchase but the items we drop ship, too. In one week she can receive as many as 1200 invoices, and many more than that during the busy season. 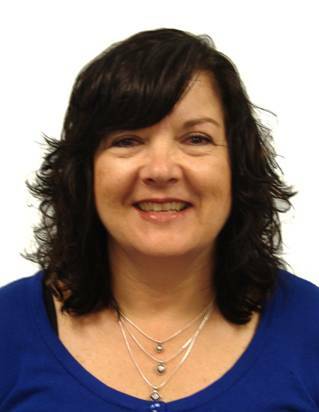 Gail typically processes approximately 237 invoices a day, which averages 30 invoices an hour! When processing an invoice, Gail, attaches the packing slip for verification of the shipment and then enters the order in to Stone Edge which checks to make sure everything was received correctly. If ever there are any issues with the invoice or shipment, Gail works with others in the company and the vendor to make sure the issue is resolved. We also have the ability to process payment through a system called Electronic Data Imaging (EDI). Gail also handles all of the invoices processed using this technology. On top of doing all the payments, she also works to process credits and returns to vendors. On top of the invoices she receives, she monitors payments and credits so she can account for and retrieve any invoice or credit that was not received in a timely manner. When not working on that aspect of her job, Gail also takes care of the overhead invoices that are received for services and products that are used internally by our staff. This can include phone payment, rent and cleaning supplies to name a few. She also helps the rest of the accounting department with the month end duties. Gail was awarded Employee of the Month because she was able to process 1,766 invoices which had approximately 3,391 line items total! This was a 125% increase from last year. She also assisted with the year end audit and the closing the books in the month of February. Gail is consistently highly organized and efficient. That, along with her positive regard makes her an asset to the company! Congratulations Gail!